We are now taking reservation for 2019 mated carniolan queens. £5 deposit is paid to reserve your queen, the balance of £31 will be invoiced when the queens are ready. Please do bear in mind the dates are provisional and the weeks may slip back depending on the weather. As soon as we have information on dates we will email you with an update. The Carniolan bees are well suited to our UK climate, they over-winter well and carry a smaller cluster of bees through the coldest periods, which is a clever strategy as this means they do not need quite as much food as some of the other breeds and strains of bees available. 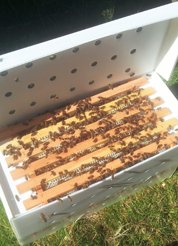 They have a superb temperament, we have received so many emails telling us how the Carniolan bees are a pleasure to handle and require very little or no smoke during a hive inspection. Affectionately known as the "Grey Grizzly Bee", the Carniolan has excellent hive orientation and flying ability adapted from its lineage in the diverse region of Carniola. The Carniolan is a calm character and is now probably the most popular breed of bee kept by non-commercial keepers. They are not known as "robbing bees" and they also have a low tendency to propolise everything in sight, which makes your inspections much easier. With very rapid colony development in the spring, good disease resistance, and their famous calm temperament, the Carniolan bee is a great all-rounder that is very hard to beat. We highly recommend this breed to newcomers and experienced bee keepers as they are a joy to work with and can produce high quality honey for your reward. These F1 Carnica Queens are breed by our Greek breeder. They are a family run business who have been raising queens for many generations. 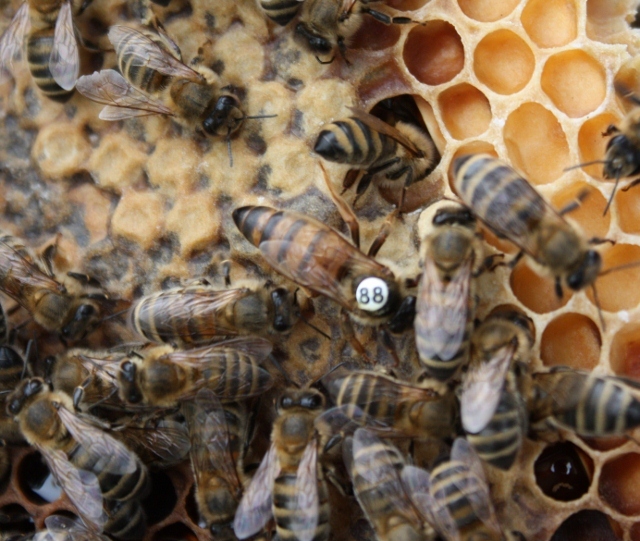 All our queens are naturally open mated. We do not sell artificially inseminated queens (AI).